A young bull elk with a hankering for apples has for the second time been sedated and removed from a southwest Idaho city. GARDEN CITY, Idaho (AP) — A young bull elk with a hankering for apples has for the second time been sedated and removed from a southwest Idaho city. Boise police and the Idaho Department of Fish and Game captured the elk over the weekend after spotting it eating apples from a tree in a vacant lot. Officials say they captured the same elk several weeks ago in nearby Garden City and moved it about 25 miles north to Horseshoe Bend. 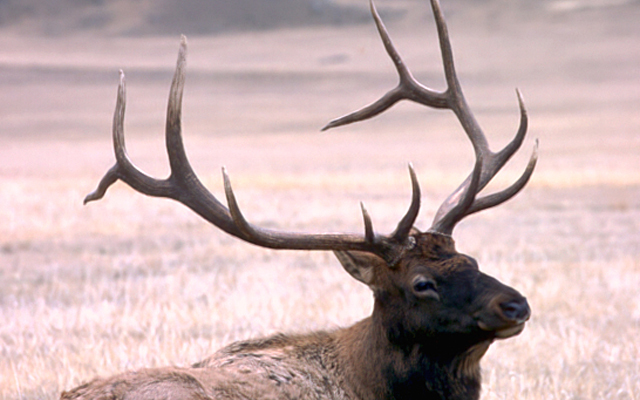 Officials say this time the elk is being moved to a more remote location. An officer assisting with the capture was struck in the ear by one of the antlers when the elk woke up sooner than expected. The officer was treated at a hospital and released.